You think you know everything there is to know about Beck’s beer? Think again (unless you happen to be the CEO of Anheuser-Busch InBev, in which case how about throwing a few thousand advertising bucks our way? Pretty please?). The driving force behind the foundation of the Beck’s beer brand was not David Beckham or singer/song-writer Beck, but Lüder Rutenberg – architect, builder, and eventual beer baron – who opened the brewery in the German city of Bremen in 1873. For context, Beck’s was established the same year as the first Coors brewery was, but European lagers Heineken, Carlsberg, and Stella Artois have all been around longer. 2. Then why is it called “Beck’s”? Lüder Rutenberg didn’t know a heck of a lot about beer when he started out, so he hired a team consisting of businessman Thomas May and brewer Heinrich Beck. Obviously it’s the latter man’s surname that became synonymous with the beer (asking for a bottle of “Rutenberg’s beer” evidently would have been too much of a mouthful). Right from the beginning, Beck’s was made in accordance with the “Reinheitsgebot” – the German Purity Law of 1516, which requires a beer o be made only from hops, malt, barley, and water. The hops are from the Bavarian Hallertau region, and the yeast is an exclusive strain to Beck’s. 4. So who owns Beck’s? 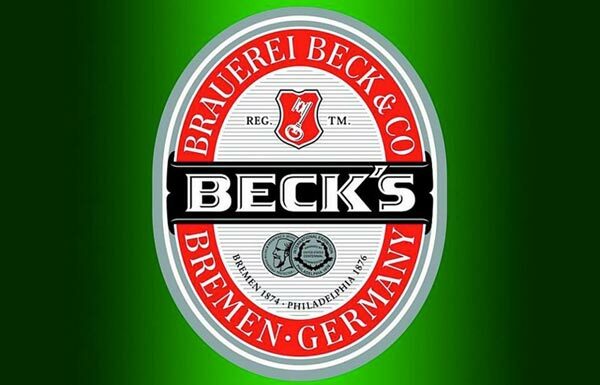 Beck’s was owned by the same German family until 2001, when it was acquired by Belgium-based brewing company Interbew for a princely sum of 1.8 billion euros. Then in 2004 Interbrew merged with AmBev to form InBev, which merged with Anheuser-Busch in 2008 to become Anheuser-Busch InBev. You follow all that? The short answer is Beck’s is owned by the same company that owns around a quarter (and soon to be much more if its merger with SABMiller goes through) of the global beer market. We all know about the Beck’s arty label campaign, which features the work of talented artists on its beer labels. But did you know that in 2013 US drinkers of Beck’s filed a lawsuit that accused the German beer brand of being misleading? According to the class-action suit, the beer’s packaging and label led people to believe that it was still made in Germany; not brewed under license in America. It resulted in Anheuser-Busch InBev settling the case for $20m in 2015, which meant people in the US could claim back up to $50 per household (with proof that they’d purchased the beer at a retail outlet). An estimated 1.7m households qualified for the settlement payments, but it’s unknown how many claims were filed before the period to file ended.